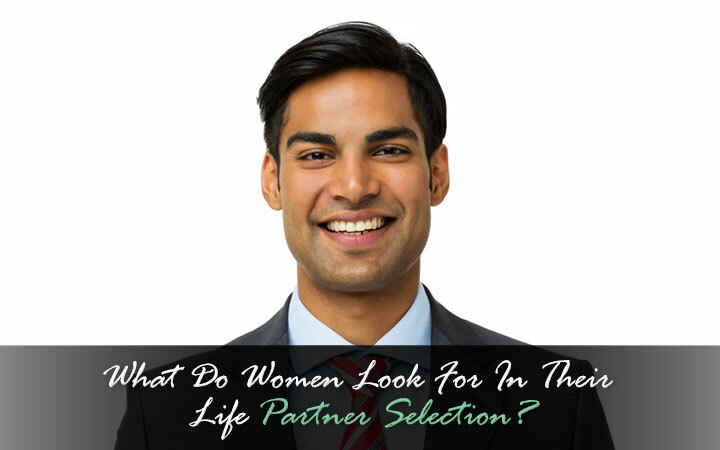 What Do Women Look For In Their Life Partner Selection? Honesty: Everyone wants trust and honesty in a relationship. It is best to be honest and sincere to lay the foundation of a happy marriage. Maturity: Trying to act like a 10 year old, throwing a tantrum or being irresponsible isn’t attractive. Women like men that know what they want, are reasonable and logical. The like well-bred, articulate men that show confidence and maturity. Kindness: Saving a kitten from a tree or helping an old lady cross the road are some things that women notice in a man. Trying to act swag or just being obnoxious and rude isn’t a quality women prefer in their life partner. Commitment: Well, staying by your words and strong commitments that you stand by always are a quality women prefer. If you are commitment phobic, you’ll just lose your love forever. Financial stability: She might not want diamonds all her life, but she needs to have financial stability to have a feeling of security for the family. Even though you may imagine living on love and fresh air, women like to see a well-balanced checkbook and bank account. Love and respect: She expects to be loved, respected and pampered and will go all the way to make you feel special. However, if you don’t love and respect her, someone else might. Attractiveness and good grooming: That unshaven stubble or that don’t-care attitude looks good in movies. In real life, well-groomed and attractive men have an irresistible charm that few women can resist.